Here are some other misconceptions about automation commonly disseminated. Not true, let’s not forget that humans invented these machines to do the jobs faster, easier and more efficiently so humans can focus on more challenging tasks. While many feel a machine can replace a human being, the fact remains the opposite. You cannot replace human innovation and the mind of a person. Machinery can only complete a task or achieve an objective conforming to the standards and directives humans consign to them. Even then, machines cannot account for extraneous variables, all they can do is make a human’s job easier. According to Impo, automation threatens tasks…not jobs. In fact, a report issued a harrowing warning stating that people and technology would need to work together in order to achieve automation's full potential. If done successfully, automation and human interaction could propel global productivity from 0.8 to 1.4 per cent on an annual basis. There is actually some truth to this in that automation is a transitional exercise in nature. However, this quotation is often yielded and stated by those who believe they cannot introduce various practices of automation at once out of fear it will cause a culture shock in the workplace. The simplest way to seamlessly introduce automation is to implement and integrate the ideologies which fostered automation to begin with: Lean and Six Sigma. Incorporating these theoretical approaches into your workplace will invigorate the culture and educate employees on how to bolster productivity and efficiency. After the concepts are mastered, the machinery which was designed to conform to these practices can be worked into the routine seamlessly and thus it can more or less happen all at once. This is exactly what automation does do. Automation allows enterprises and businesses to reallocate their human capital to more pertinent tasks and also affords organisations the flexibility to assign employees to new assignments. Instead of having employees focus on the menial errands, a business can now challenge their employees to devise new approaches to potentially new goals and objectives. From a supply chain perspective this can be an excellent revelation. Employees can focus on product quality as opposed to production, which only results in revenue optimisation long-term. If there are deficiencies in your business operations, automation is not a quick fix that will solve and amend all these issues. Automation enhances business operations but does not improve processes if they lack the appropriate application. According to IT Pro Portal, businesses looking to adopt automation must realise that it is far from a one-size-fits-all solution. To bolster this narrative there are many areas of that can any business can scrutinise to become more efficient and productive by being automated, but this still requires human involvement to adopt and comprehend those changes. In some scenarios there are many enterprises that are actually not prepared or ready for automation be that it would actually catalyse and intensify the conditions that need remedy to begin with. For example, many experts have stated that assignments which are rooted in stakeholder engagement cannot be fixed with customer relationship management software. This simply boils down to human interaction. In addition to this, automation is not a quick fix to reduce personnel overhead. The human touch is a vital component of any operation be that humans created automation. Automation strictly serves as an aid and a fundamental tool to help businesses tackles some of the most time-consuming and monotonous tasks. Doing so has been proven to increase morale while allocating resources and employees to more prudent tasks. Thus, automation is said to boost productivity and business intelligence. Some say that automation can be deployed anywhere. However, this is not true by any case. As we have covered already, automation is something that must be done in a progressive motion and often is utilised to tackle a few key issues at a time. With respect to this narrative, automation is not something that a business can deploy anytime or anyplace. Automation must serve a purpose and fulfil or meet a need, demand or requirement. Every business is different and thus their profile in how they can benefit from automation is unique as the organisation itself. For some, automating security or manufacturing may play a key role in driving down costs to optimise revenue. For others, automation may be most proficient in information management as business-critical data may often be disorganised or very simply hard to collate and disseminate by human means. However, automation may sometimes not be the answer many management leaders are looking for. Sometimes there are alternatives to approaching some of the basic rudiments of commerce. For example, Six Sigma, Lean and Agile methodologies integrate automation into the breadth of practices but they also revamp and revitalise the attitudes of staff and personnel enterprise-wide. In manufacturing these principles can be vital to any organisation’s success as they champion the work smarter not harder approach. 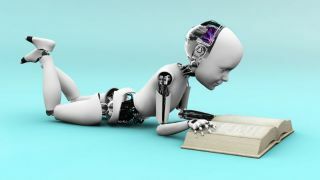 Nevertheless, a fleet of robots may not be what is necessary to complete a job when the volume of production is so low.